Even as Amar Upadhyay is saved from eviction on Bigg Boss this week, another threat looms large over the actor, as the Mumbai Police are learnt to be preparing to barge into the Karjat-based House to serve him Court summons. Amar, who became a small-screen idol after his portrayal of Mihir Virani in Balaji Telefilms’ daily soap Kyunki Saas Bhi Kabhi Bahu Thi, one of the biggest on Indian television ever, is said to be summoned by an Udaipur court for a cheque bouncing case from a company he had formed in partnership with two others. “Amar had resigned and exited the said company long ago and may not even be aware of such a cheque,” clarified the actor’s publicist Dale Bhagwagar, who is handling his media affairs, while he is lodged in the Bigg Boss House. But according to latest reports the Mumbai Police are adamant to hand over the summons personally to Amar. It can be noted here that earlier, in Bigg Boss Season 1, a similar instance had taken place, whereby in the very first week of the show, television actor and cricketer Salil Ankola was ordered by the Mumbai High Court to leave the House or face criminal charges, in accordance with an agreement he had signed previously with Balaji Telefilms. According to the agreement, Salil was to refrain from participating or acting in television shows made by other production houses that directly or indirectly competed with Balaji Telefilms. 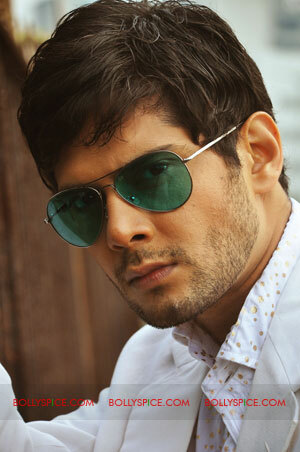 He was asked to leave Bigg Boss after the show’s production house received a Court Order. 17 queries in 0.545 seconds.